e Solar Innovation Series – BrightPhase Energy, Inc.
Point Roberts, South Salem, New York - March 31, 2009 - Investorideas.com announces the first of the new solar innovation series at "Renewable and Solar Energy Perspectives" with J. Peter Lynch. "A unique 3 for 1 product – electricity, heat and diffuse daylight all in one unit"
Research Renewable Energy and Cleantech stocks as an Investor Ideas member and gain access to the stock directories. Point Roberts, March 30, 2009 - InvestorIdeas.com and its green investor portal Renewableenergystocks.com report on recent updates in the EV market. HAWTHORNE, Calif. ---Tesla Motors recently reported it is now taking orders for the Model S, an all electric family sedan that carries seven people and travels 300 miles per charge. SAN BERNARDINO, Calif., March 27, 2009 -- When the Emmy Award-winning hit reality TV show ``Extreme Makeover: Home Edition'' was looking to build the ultimate green home for a deserving family in San Bernardino, they chose the high performing, sleek and beautiful design of Andalay solar panels distributed by leading solar designer and installer Akeena Solar ( NasdaqCM:AKNS ). This Sunday, March 29, watch with the rest of America as Ty Pennington, the ``Extreme Makeover: Home Edition'' crews, and Akeena roll up their sleeves to build an energy efficient home. The energy efficient green home is a perfect fit for the Almquist family, who are local heroes in San Bernardino County for their dedication to caring for wildlife and providing a rescue sanctuary called Forever Wild (http://www.4everwild.org). The sanctuary houses abused or neglected exotic animals, such as Mexican beaded lizards, parrots, alligators and Siberian lynxes. This Sunday's episode of ``Extreme Makeover: Home Edition'' features many green and sustainable building elements, the centerpiece being a 24-panel, 5 kW Andalay solar system. Long after the building crews have left, the donated system worth nearly $40,000 will continue to give back to the Almquist family and the community, drastically reducing their electricity bills and decreasing carbon emissions by 10,000 pounds -- or the equivalent of planting more than 115 trees. Who: Akeena Solar's team of volunteer installers. Joining the team onset was Linda Panitz, the winner of an Akeena-sponsored contest that awarded one solar enthusiast with a trip to San Bernardino to see the Andalay solar system installed. Founded in 2001, Akeena Solar's philosophy is simple: We believe producing clean electricity directly from the sun is the right thing to do for our environment and economy. Akeena Solar has grown to become one of the largest national installers of residential and commercial solar power systems in the United States. The company's new integrated solar panel system, Andalay, is the only solar panel system with integrated racking, wiring and grounding. Andalay panels offer unprecedented reliability, performance and beautiful design. For more information, visit Akeena Solar's website: http://www.akeena.com. ``Extreme Makeover: Home Edition,'' which has won back-to-back Emmy Awards as Best Reality Program (non-competitive), is entering its 6th season on ABC. The program is produced by Endemol USA, a division of Endemol Holding. Anthony Dominici is the executive producer; and David Goldberg is the president of Endemol USA. The show airs on Sundays (8:00-9:00 EST), on the ABC Television Network. Photography is available at http://www.abcmedianet.com or at (818) 460-6611. Point Roberts, South Salem, New York- - Investorideas.com March 27th issue of Renewable and Solar Energy Perspectives with J. Peter Lynch. As I have said many times in the past, solar stocks are FAR MORE volatile than the average stock and that we can expect this above average volatility to continue because of the early stage of the industry and the general nature of the market we are in today. However, the past 4 trading days have been nothing less than spectacular for solar stocks. The 21 companies we track are up an AVERAGE of 42%, which to the best of my knowledge is an unprecedented move by any market sector in my experience. The average gain is close to 5 FOLD greater than the movement of the Dow, the S&P and the NASDAQ. a leading investor news and research portal for the renewable energy sector within Investorideas.com, presents a sector close-up on solar stocks following news of China’s proposed subsidies for solar installations. Several of the solar leaders had impressive gains, with Yingli Green Energy (NYSE: YGE) moving up 44.82% on the day. Solar investors can also track the Ardour Solar Energy Index (^SOLRX) (Market, News), a compilation of global solar energy stocks in three primary solar energy sectors: Photovoltaics, Solar Thermal, and Solar Lighting for sector indications. Akeena Solar Inc. (NASDAQ:AKNS) closed up$ 0.28 (31.46%). Entech Solar (OTCBB: ENSL) traded up $0.05 (16.20%). Evergreen Solar Inc (NASDAQ:ESLR) (Market, News) was up 0.29 (16.57%) on the day. First Solar, Inc. (NASDAQ: FSLR) (Market, News) closed up $16.41 (12.25%). JA Solar (Nasdaq: JASO) ran up $ 1.11 (41.73%). LDK Solar ADR (NYSE: LDK) (Market, News) closed up $ 1.87 (31.75%). SunPower Corporation (NasdaqGS: SPWRA) (Market, News ) closed up $ 2.64 (10.98%). Trina Solar Limited (NYSE: TSL) gained $3.53 (40.76%). Yingli Green Energy (NYSE: YGE) (Market, News) had a massive run, closing up $ 1.86 (44.82%). XsunX: (OTCBB: XSNX) closed up 12.67% at $0.17. a leading investor news and research portal for the renewable energy sector within Investorideas.com, presents a sector close-up on renewable energy stocks trading as of March 25th, 2009. The market in general and several of the green leaders showed strength at the market close, with gains of up to 12% in Evergreen Solar Inc.
Akeena Solar Inc. (NASDAQ:AKNS) closed up $ 0.06 (7.23%). Canadian Solar Inc. (NasdaqGM: CSIQ) had gains of $ 0.20 (4.32%). China Technology Development (NASDAQ: CTDC) closed up $ 0.07 (3.27%). Clean Energy Fuels Corp. (NASDAQ:CLNE) was up $ 0.16 (2.74%). Energy Conversion Devices, Inc. (NasdaqNM: ENER) closed up $ 0.75 (5.43%). Evergreen Solar Inc (NASDAQ:ESLR) closed up $ 0.19 (12.18%). First Solar, Inc. (NASDAQ: FSLR) had gains of $ 5.18 (4.02%). GWS TECHNOLOGIES INC (OTCBB: GWSC) closed down $ 0.04. Mantra Venture Group Ltd. (OTCBB: MVTG) closed down $ 0.03. Plutonic Power Corporation (TSX: PCC ) was up $ 0.08 (3.81%). SunPower Corporation (NasdaqGS: SPWRA) closed up $ 0.09 (0.38%). Suntech Power Holdings Co. Ltd. (NYSE: STP) was up $ 0.14 (1.82%). Westport Innovations Inc. (WPT.TO) closed up 0.18 (2.93%). Yingli Green Energy (NYSE: YGE) closed up $ 0.07 (1.72%). XsunX Inc. (OTCBB: XSNX) closed down $ 0.01. TEMPE, Ariz.---First Solar, Inc., (Nasdaq: FSLR) has entered into a 25-year power purchase agreement with Tri-State Generation and Transmission Association, Inc., a wholesale electric power supplier serving more than 1.4 million consumers through 44 electric cooperatives and public power districts in Colorado, Nebraska, New Mexico and Wyoming. "This photovoltaic (PV) power plant is another demonstration of our ability to provide affordable, utility-scale solar solutions," said John Carrington, First Solar executive vice president of marketing and business development. "In addition to being cost-effective, the plant will create 120 to 140 construction jobs, significantly reduce green house gas emissions and provide enough power to serve the equivalent of approximately 9,000 homes." The agreement, which represents the largest PV contract by an electric cooperative in the U.S., calls for First Solar to engineer, procure and construct (EPC) a 30 megawatt AC (MW) ground-mounted PV power plant in northeastern New Mexico. The project will be the first utility-scale solar power plant in the region and is expected to be complete by the end of 2010. First Solar will provide monitoring and maintenance services for the PV power plant over the course of its lifetime. The Company expects that, upon completion of the PV power plant, it will have transferred all or substantially all of its equity interest in the project. “This first-of-its-kind initiative is further evidence that New Mexico is a national leader in renewable energy production. I look forward to many more projects like this coming to fruition in New Mexico and across the country as we shift from fossil fuels to cleaner, green energy. I am especially pleased to see the electric coops take this major leap into renewables,” said U.S. Senator Jeff Bingaman, who chairs the Senate Energy and Natural Resources Committee. First Solar combines the economic benefits of low-cost technology with superior environmental performance to provide truly sustainable energy solutions. "Projects like these represent a step toward transforming our energy future; providing solutions for both climate and the environment," said Carl Zichella, western regional director for the Sierra Club. Point Roberts, South Salem, New York- March 23, 2009- Investorideas.com announces the launch of a new series for the renewable energy sector in addition to the Renewable and Solar Energy Perspectives with J. Peter Lynch. The Innovation Series will cover emerging private companies with new technology and innovation in the solar industry. I have been saying for years that the future of the solar industry is very bright and that we all have nothing to look forward too except a bright sunny future. Nothing that has occurred to date has changed my mind the least bit. As I have said numerous times, the solar industry is still in its infancy and as a result, has its best days ahead of it. One thing that has always driven industries from their beginnings through their various stages of growth has been INNOVATION. This is what America is best known for and has always been a primary driver of progress in all industries. It is innovation that breaks away from the “old” and brings on the new technologies, new applications and new products that we will need in the future to confront and overcome our looming energy crisis. In this periodic column I will highlight new companies, people and concepts with innovative technology and/or ideas that may turn out to be one of the key contributing factors that will enable the next breakthrough in the solar industry and help to light our way to a sustainable energy future. Accredited Investors: Sign up and register and we can forward you our private online access to our current list of company executive summaries for review. Companies: Sign up and forward us your request for funding, strategic partner or other request. You can advertise on the Marketplace or upon approval Investorideas.com will enter into Marketplace success based agreement. Gain Exclusive Insight on Leading Sectors, Global Trends, and Insider Trading Ideas, News, Articles and the complete renewable energy stocks directory and water stocks directory. About InvestorIdeas.com: Investorideas.com creates a meeting place for investing ideas to take form and come to life in an entrepreneurial environment, servicing the needs of small investors and start- up companies to large conglomerates! We cover multiple industry sectors but specialize in environmental and water. Point Roberts, WA, Delta, BC - March 23, 2009 - www.InvestorIdeas.com, a leading global investor and industry research portal covering water, environment and oil and gas sectors, announces a new featured showcase company, Wescorp Energy Inc.(OTCBB:WSCE ),a company providing technology based solutions for the treatment of contaminated ‘produced water’ for the oil and gas industry. Oil and gas production worldwide generates a tremendous amount unwanted waste water - water that has been contaminated with hydrocarbons, sand, drill cuttings, organic and inorganic salts. The produced water is contaminated naturally from the formation and artificially through oil and gas processing. The handling, treatment and disposal of the produced water are some of the most controversial and environmentally challenging issues oil and gas producers face today. Produced water from hydrocarbon operations creates massive volumes of waste that requires remediation. Headlines in a March 2009 article in Oilweek.com, “Water—its use, reuse and conservation—has become almost as important to Alberta’s economic future as oil”, forecast the importance of finding solutions within the industry. Wescorp Energy Inc. is an oil and gas solutions provider that specializes in water remediation and environmental technologies for the global oil and gas industry. One of the company’s primary technologies, H2Omaxx, is a commercially scalable water remediation unit that uses patented aeration technology to consistently provide safe, effective and economical separation of oil from produced water. Final independent verification testing was completed in November 2008. Analytical results proved the H20maxx unit increased the recovery of oil and reduced the amount of hydrocarbons in the treated produced water to less than 0.001% or 10 parts per million. Wescorp’s H20maxx technology is not going unnoticed. In December 2008, Wescorp announced that Weatherford International Ltd., (NYSE: WFT) executed a letter of intent for the testing of Wescorp's wholly-owned water remediation technology, H2Omaxx, in two projects in South America. Wescorp and Weatherford are currently in negotiations for a possible exclusive long-term global cooperative agreement. H2Omaxx units provide oil and gas operators an opportunity to increase their profits, and reduce their operational costs by reducing, reusing, and recycling water without the use of flocculants. Weatherford (NYSE: WFT) is one of the largest global providers of innovative mechanical solutions, technology and services for the drilling and production sectors of the oil and gas industry. $3500 month plus fifteen thousand shares, three months contract with third party. Contact Wescorp directly for investor relations questions. POINT ROBERTS, WA and DELTA, BC –March 22, 2009 www.Water-Stocks.com, an investor and industry portal for the water sector within Investorideas.com, presents investing in water, the first in a series of commentary and insight with Neil Berlant, Fund Manager of the PFW Water Fund (PFWAX). With World Water Day held March 22, 2009 http://www.worldwaterday.org/ , drawing global attention to water issues, Water-stocks.com reminds investors of the needs and opportunities within the sector. Investorideas.com and Water-stocks.com has turned to well- known industry expert, Neil Berlant of the PFW Water Fund, who has dedicated his life-long career to the sector, to provide insight and ideas on the global theme of investing water. Neil, the recent media from Ceres.org warning investors and business they are not paying attention to water would not be news to you, as you have been a long- time believer in the sector. But in that line of thinking, for investors just getting into the water space - what are some of the key trends they should they be looking at? The forces driving growth in the water sector can be narrowed down to three principal areas: Economics, quality, and infrastructure. On the economics side, water has historically been underpriced, that is, not reflecting its real cost. The real cost for water is what it costs to find water, treat water, and then to distribute it. We have never really factored in those costs to arrive at the price that we charge for water. That is in the process of changing, but change is coming on very slowly. As for quality, this is a major issue. Not that water quality for drinking water purposes is inadequate or not being addressed, but rather that the quality of the water we require for most applications is growing more demanding. For most applications today, and in the future, we require very highly purified water. For example, to manufacture semiconductors, we require “ultra-purified” water. The same is true for generating electricity and manufacturing. In addition, health care and food processing require highly purified water. These areas were previously not as demanding. Last, but not least, the issue of the water infrastructure throughout the US is growing in importance. It is well-documented that we are facing what may be as much as a $1 trillion deficit in capital to improve the aging US infrastructure. That means an enormous bounty of business in pipe replacement, filtration, and purification equipment over the next twenty years. With your fund, The PFW Water Fund how would you define your short term and long term strategy? And how can investors participate in the fund? The PFW Water Fund (PFWAX) expressly addresses the opportunities outlined above. The Fund broadly focuses on the water industry, and more specifically on the companies that comprise the broad definition of the water industry as all of the things that influence the quality or availability of water. The PFW Water Fund (PFWAX) is invested in companies in purification, infrastructure, desalination, and all things related to water. As the portfolio manager, I have focused exclusively on the water industry since the mid-1980s, with portfolios that have consistently beaten the broad stock market. The PFW Water Fund (PFWAX) is uniquely positioned to participate in the explosion of activity we anticipate over the next couple of decades. The growth we forecast is expected to last for some twenty years and therefore, the PFW Water Fund (PFWAX) is investing in the long-term growth of owning businesses, rather than short-term speculation. We are in front of wave of activity that is somewhat unique to the water industry and thus offers the prospect of wealth-building that is difficult to find elsewhere. Since 1968, Neil has been continuously involved in the investment banking industry, either as a principal, officer, or founder of several firms. He has supervised and initiated the publication of numerous investment research reports on the water industry and conducted conferences directed towards top corporate management, the investment community, and venture capitalists. He has been a speaker at conferences on topics ranging from financing, to business and investment opportunities in the water industry. In addition, he has consulted to Fortune 500 companies and participated in negotiations concerning mergers, acquisitions, and venture capital investments. He is quoted frequently in newspapers including the Wall Street Journal, The New York Times, Los Angeles Times, Investor's Business Daily, and is a frequent water expert on CNBC. Calgary, Alberta – March 19, 2009 – On March 17, 2009, D & D Securities Company a Toronto based investmentdealer (www.dndsecurities.ca) published a report entitled “ Thin Film Photovoltaic – Through the Fog” providing anoverview of the rapidly changing industry dynamics. The report concludes that thin film PV is a “disruptive” technology that will transform the PV solar market with afundamentally lower cost structure, enabling it to take significant market share from the incumbent PV modulemanufacturers. The report also offered the following observations:• Lower panel prices are expected to spur demand by the second half of 2009 with the industry resuming annualgrowth of 30% and driving innovation to reduce cost improve system efficiencies and provide more systemdesign flexibility.• With over capacity and lower prices, choosing winners and losers among existing producers and newcomers onthe module side will be a challenge. The best value for investors may not be in the PV systems, but in theperipheral devices needed to make the system operate more efficiently with lower input costs.• Rooftop and building integrated PV systems will become an integral part of thin film growth strategy as indicatedby Ontario’s proposed $0.802 / kWh for roof top and the evidence is mounting that rooftops will adopt the moreflexible and suitable “parallel” architecture.• Sustainable Energy has the most attractive and lowest cost “parallel” operating system (patented) to make thinfilm more competitive in rooftop and building integrated market segments.The report can be viewed at the following link http://www.dndsecurities.ca/news/pdf/Thin_Film-Through_the_Fog.pdf. or by contacting Elizabeth Muchal Singh at 416.369.3302 or esingh@dominick.caAbout Sustainable EnergyBased in Calgary, Alberta, Canada, Sustainable Energy Technologies Ltd (“Sustainable Energy” or the “Company”)(www.sustainableenergy.com) designs and manufactures advanced power inverters for the solar power industry.Advanced power inverters are a critical enabler of all modern solar PV power systems converting the direct current(“DC”) power output of the solar PV modules into the high quality alternating current (“AC”) power required by thepower grid. Advanced power inverters also optimize the performance of the solar PV modules and maintain theintegrity and safety of the interconnection with the power grid. Sustainable Energy has developed and patented an inverter design which is a breakthrough in inverter technology.The Company’s products enable solar PV systems to be designed and installed using a “parallel” architecture so thateach PV panel operates at it optimum power point independently from the other panels in the string withoutcompromising electrical conversion efficiencies. The technologies also enables an inverter platform which theCompany believes will have one of the lowest costs/watt in the industry. Nine (9) patents are issued by the US andCanadian patent office with respect to the Company’s core concepts and software with other patents pending. Forward Looking InformationThe views of D&D Securities Company concerning the matters discussed in the referenced report are its own, and the Companyexpresses no opinion concerning the information contained in the report, but is only making readers aware of the report and some of the highlights. The reader is advised that some of the information herein and in the referenced report may constitute forwardlooking statements within the meaning assigned by National Instruments 51-102 and other relevant securities legislation.Forward-looking information is not a guarantee of future performance and involves a number of risks and uncertainties. Manyfactors could cause the future events or developments, to differ materially from those expressed or implied by the forward-looking information. Readers are cautioned not to place undue reliance on forward-looking information, which speaks only as of the date of publication. The Company does not undertake any obligation to release publicly any revisions to forward-looking information contained herein to reflect events or circumstances that occur after the date hereof or to reflect the occurrence of unanticipated events, except as may be required under applicable securities laws. Bitterfeld-Wolfen, 19 March 2009 – Today, Thursday, 19 March 2009, Q-Cells SE (QCE; ISINDE0005558662) presents its Annual Report for 2008 at the press conference in Frankfurt/Main. Thecompany therewith confirms its preliminary figures of 24 February 2009. With a production volume of 570.4 MWp in its core business, Q-Cells SE was again the world’s largestmanufacturer of solar cells last year. Sales rose by 46 % to € 1,251.3 million (previous year:€ 858.9 million). EBIT, which was depressed to a much greater degree in the previous fiscal year bythe start-up costs of new technologies and the new production facility in Malaysia, grew by 4 % to€ 205.1 million (2007: € 197.0 million). Net income for the year totalled € 190.6 million, which isan increase of 28 % on the figure for the previous year of € 148.3 million. Excluding the contributionfrom the investment in Renewable Energy Corporation ASA (REC) net income for the year stood at€ 140.3 million (€ 127.2 million). Q-Cells has therefore successfully continued its expansionarycourse in the past year. In addition to commissioning the final section of Line V in the first half of the year, the sixthproduction line was commissioned at the Bitterfeld-Wolfen site in the fourth quarter of 2008 allowingtotal cell capacity to be increased to 760 MWp. The new fab in Malaysia, on which constructionstarted in the second quarter of 2008, will launch the making of its first solar cells in Q2 this year. Inaddition to expansions in the core business, two of the thin-film subsidiaries or investments startedmass-production last year. Both Sontor GmbH and Solibro GmbH continued their ramp-up successfullyin the fourth quarter of 2008. Work also began on expanding capacity at Solibro to a total of 135 MWp(currently 30 MWp) in the fourth quarter. Across the Group, Q-Cells created a total of 861 new jobsthrough its expansion, which means that the company employed 2,568 individuals in total at the endof last year. SOUTHBOROUGH, Mass.----Protonex Technology Corporation (LSE: AIM: PTX and PTXU), a leading provider of advanced fuel cell power systems for portable, remote and mobile applications, today announces that it will develop a robust, deployable pre-production fuel cell power system, designed for powering a small, unmanned aerial vehicle (UAV) that will be capable of extended flight duration and mission endurance. This work will be completed under an awarded $3.3M contract ($2.2M base award with a $1.1M option) from the Department of Defense (DoD) and will draw on continuing developments by Protonex of its unmanned power systems and UAV technologies. Under the terms of this contract, which was expected by management, Protonex will customize one of its fuel cell power platforms and will integrate it into development partner, AeroVironment’s (NASDAQ: AVAV) “Puma-AE” UAV. The resulting UAV, powered by the Protonex fuel cell power system, is expected to enable new long-duration missions, not previously feasible with hand-launched UAVs powered by advanced batteries. Protonex has already demonstrated its fuel cell power systems for small UAVs through programs with the U.S. Air Force Research Laboratory, the Naval Research Laboratory, and AeroVironment. Most recently, AeroVironment’s Puma UAV, utilizing a highly advanced fuel cell system from Protonex, broke its previous flight records and flew continuously for over nine hours—three to four times the endurance capability of its current rechargeable batteries. Until recently, extended flight endurance capabilities were only achievable with larger scale, more costly UAV platforms. With the introduction of cutting-edge fuel cell propulsion systems from Protonex, new missions such as persistent surveillance, search and rescue, chemical-biological monitoring, and other long-endurance specialty missions can be achieved by smaller, more flexible, and cost-effective UAV platforms. Protonex Technology Corporation develops and manufactures compact, lightweight and high- performance fuel cell systems for portable power applications in the 100 to 1000-watt range. The Company’s fuel cell systems are designed to meet the needs of military, commercial and consumer customers for off-grid applications underserved by existing technologies by providing customizable, stand-alone portable power solutions and systems that may be hybridized with existing power technologies. The Company is headquartered in Southborough, Massachusetts. Building on a history of technological innovation, AV designs, develops, produces, and supports an advanced portfolio of Unmanned Aircraft Systems (UAS) and efficient electric energy systems. Agencies of the U.S. Department of Defense and allied military services use the company’s hand-launched UAS to provide situational awareness to tactical operating units through real-time, airborne reconnaissance, surveillance, and target acquisition. Commercial and government entities use AV’s clean transportation solutions such as electric vehicle test systems and electric vehicle fast charge systems, as well as its clean power solutions. This announcement includes statements which are, or may be deemed to be, "forward-looking statements". All statements other than statements of historical facts included in this announcement, including, without limitation, those regarding Protonex’ financial position, business strategy, plans and objectives of management for future operations (including development plans and objectives relating to Protonex’ products and services) are forward-looking statements. By their nature, such forward-looking statements involve known and unknown risks, uncertainties and other important factors that could cause the actual results, performance or achievements of Protonex to be materially different from future results, performance or achievements expressed or implied by such forward-looking statements. These factors include but are not limited to those described in the Admission Document issued in connection with the Company’s admission to AIM. Forward-looking statements may and often do differ materially from actual results. Any forward-looking statements in this announcement speak only as at the date of this announcement and are subject to risks relating to future events and other risks, uncertainties and assumptions relation to Protonex’ operations, results of operations, growth strategy and liquidity. As I have said many times over the years solar stocks have a bright future, a very bright future. But investors have to understand a number of things about the current stock market and solar stocks in particular in order to fully take advantage of this long-term trend. Markets go up and markets go down and these moves usually occur when it is least expected. At the present time solar stocks, the energy industry and the market in general have been in a very serious decline. The Dow Jones is breaking records everyday and the press is full of bearish articles about the market and about the questionable future of the solar industry. If we take the time, look a little deeper and put aside the general media. I think we will see a very different picture and one that would suggest the very BEGINNING of “light at the end of the tunnel” and of the potential for investor’s to be a little more optimist at this time. The Dow Jones Industrial Index recently recorded a twelve year low and the media was FULL of doom and gloom. This terrible news was all over the financial press, accompanied by scenarios of more of the same to come. In fact, the recent survey from the American Association of Individual Investors (AAII) had fallen to the most bearish level in history – 70% of those surveyed felt that the direction of the market would be DOWN over the next 6 months. There are four interesting items below to take note of from an historical perspective. Remember the bottom of a market is ALWAYS, by definition, the period of greatest fear. I have been a student of the market since 1975 and I can assure you that there is plenty of FEAR out there now. 1. The last two times the stock market hit a 12 years low was in 1974 and 1932. BOTH of these times proved to be once in a life time buying opportunities. 2. The previous record of FEAR by the AAII survey (67% bearish) was October of 1990 the very beginning of the great bull market of the 1990’s. 3. Remember corporate earnings and unemployment ALWAYS lag behind the stock market. So well after the market has turned around we will continue to see poor earnings and higher unemployment. Nothing is 100% for sure, as we all know. But I think we are either at a significant bottom or very close to it. Everything is so “oversold” at this time, that I think the worst case is that we get a significant rally in what could still be a bear market. Two other items I think are worthy of note. Last week there were a number of indications that two very significant negatives could be turned to the positive very shortly. 1. The mark to market accounting rule will be modified to reflect “reality”. This will positively impact balance sheets significantly and should positively impact financial institutions especially. 2. The up-tick rule will be re-instated. This will stop short sellers from pushing stocks lower and fanning the flames of panic and fear. Ever since the rule was withdrawn (October 2007) it is OBVIOUS the effect it has had on the market. Keep in mind that ALL the bad news out there is in media now. We already know all the bad news. Remember that the stock market IS actually a discounting mechanism which looks out 6 to 9 months into the future. We do not need GOOD NEWS to turn the market around, only LESS bad news. Solar stocks have also been doing terribly since the second quarter of 2007. Just like the general market, we need to look a little deeper, past the media hype, and see what is actually happening with solar stocks in the market. One of the measures (tools) that I utilize when looking at individual stocks is their 50 day moving average and whether the current price is above (bullish) the 50 day average or below (bearish) the average. It is not the only way to look at stocks and may not be the “best”, but it always seems to give me an idea of which way a stock is heading in the short to medium term and when looking at a specific market sector, what sort of condition that sector is in. At the current time, 3 of the 35 solar stocks I follow are ABOVE (Bullish) their 50 day moving average. On the other hand 92% of the stocks (32 of 35) are BELOW (Bearish) their 50 day moving average. This clearly tells me to exercise caution in the solar sector and that the sector still needs some time to sort out the recent general market decline and a number of industry specific problems. To put it a different way, I do not think ALL the bad news regarding the solar sector is out yet and that there will be future negative surprises, such as earnings disappointments (ENER earlier this week for example), inventory write-offs, and possibly even bankruptcies. The solar sector will probably get carried UP when the general market rallies, but since they will have to work out some additional problems; I do not think their rally will be sustainable. However, if the current project financing “roadblock” suddenly opens up a much more sustainable rally would be possible, especially in the wind sector (i.e. the ETF “FAN” may be a conservative way to play this potential), and the stronger stocks would take the lead. Numerous opportunities will come, but investor patience will be required to wait out this tough period and for sector volatility to “settle” down. This is still an embryonic industry and it is going through a painful retracement and consolidation phase. Assuming the above analysis is reasonably correct, what wisdom and benefits can be gained from this current situation? 1. Markets and stocks ALWAYS get ahead of themselves (in the short term) and subsequently go to extremes in both the up and down directions. I think we are at an unsustainable extreme (down) at this time and that we will get at least a significant rally shortly. What I mean is that you can have a good company and a bad stock and you cannot “fall in love” with the company, you have to look at both. A perfect example of this is one of the greatest and most respected companies in the world – General Electric. I think it is still a “great” company, but the stock has gone from $42.00 in early 2008 to a low of approximately $6.00 last week – certainly NOT a great stock. Has General Electric become an unsuccessful company that is going out of business and has no future? I seriously doubt it, but it is an almost perfect example of a good company (with temporary problems) and a stock that is reflecting those problems. 3. The solar industry has a very bright future, for decades to come. However, you have to keep in mind that we are only at the VERY BEGINNING of the industry’s growth. As a result, in addition to enormous opportunities that lie ahead, we will also most likely see above average volatility and more technical failures than successes. This is the way ALL new industries start up, grow and finally emerge. Investors have to be aware of this level of risk (and opportunity) and act appropriately according to their own financial tolerance for risk. 4. Any correction in solar stocks or the market in general can also be turned around and provide an advantage for the patient investor. When a sector or market corrects it generally takes ALL stocks (good and bad) down with it. However, once the correction has run its course the stronger stocks (i.e. those stocks with the highest “relative strength” compared to the general market and to their peer group) will ALWAYS come back to life faster. This is an excellent way for an investor to pick out the stronger companies in the sector and get involved before they have fully recovered. Aspiring investors need to acquire and nurture patience. Historical data clearly shows that more money is made MISSING the downside than catching the upside. As I read my e-mails from readers, I get the feeling that people really want to buy solar stocks and ride them into a bright future. Many times I get the sense that they are afraid, that if they delay, they will miss the chance to profit from the solar industries bright future. This is NOT true. There will be plenty of time and many advances and declines in the future. Be patient, look for the strongest stocks and try not to get swept up in the crowd, because the crowd is always wrong. BROOKS, Ore. (March 17, 2009) ― In the latest showing of Oregon’s entrepreneurial and environmental prowess, Agri-Plas, an Oregon-based plastics recycler, is the first company in the nation to convert unwanted and typically unrecyclable agricultural plastics into crude oil and ship it to a refinery for commercial processing. “The fact that Agri-Plas has been able to take plastic that would otherwise go directly into the waste stream and convert it into a commercial product that can eventually be pumped into a gas tank is truly groundbreaking,” said Tim McCabe, director of the Oregon Economic & Community Development Department. Agri-Plas is now taking discarded and unwanted plastic that chokes landfills or is abandoned, burned or buried on Northwest farms and nurseries and is converting it back into synthetic crude oil. Plastic products include dirty agricultural film, greenhouse cover, mixed nursery and jug material, prepackaged food containers and lids, and other low- or zero-value plastics too dirty to economically bring to a higher value through normal recycling efforts. The company recently delivered its first full tanker (8,200 gallons) of oil to a refinery in Tacoma, Wash., which translates to a final delivery of 196 barrels of oil. The state of Oregon has made it a top priority to recruit and foster the growth of sustainability oriented businesses through a variety of financial mechanisms such as BETC, which covers up to 50 percent of a qualifying project’s applicable costs. Agri-Plas is gearing up to deliver its second shipment of crude oil this month. The company is currently testing technology developed by Plas2Fuel, a Kelso, Washington alternative energy company, that created the unique process of converting plastic into high-value, synthetic crude oil. Agri-Plas is planning to expand its operations within the next several months. Within the next year, Agri-Plas hopes to create up to 58 new green-collar jobs at its headquarters in Brooks, Ore. The synthetic crude oil that Agri-Plas is reclaiming from unwanted plastic can be refined for a variety of uses. The oil can be refined and used in literally thousands of high-end products ranging from makeup to food items, as well as gasoline, diesel, lubricants and other petroleum-based products. Today, Agri-Plas is operating one plastic-to-oil converting unit. The company soon expects to add three more units, which will create one full system and will operate this venture under the name of Agri-Plas2Crude. In April of 2009, Agri-Plas2Crude plans to break ground on a new facility, which will eventually house a total of five, four-unit Plas2Fuel reclamation systems. In total, the 20 units will create enough reclaimed crude oil to deliver a full tanker for refining every single day. Oregon will once again lead the nation in recycling efforts and solutions for the agriculture community. Brooks is conveniently located just 10 miles south of Salem, the capital of Oregon, and 40 miles south of Portland, with easy access to the state’s main transportation route, Interstate 5. Brooks falls within Marion County, which has a population of 311,304 and boasts a wide array of businesses from world-class wineries to high-technology manufacturers. Green Investor at Investorideas.com; How Will Solar PV Businesses Benefit From The New Incentives? March 12, 2009, Point Roberts, WA -Green Investor at Investorideas.com reports on how Solar PV businesses may benefit from the new incentives. Solar stocks have taken a major beating in the past few months. The Claymore MAC Global Solar Energy Index ETF (TAN) has fallen 78% in the past six months. Most listed solar companies have fallen from 50% to 87% over that period. Since all renewable energy stocks are intrinsically tied to oil prices I am tempted to lay the blame on the oil markets which have fallen hard. The US Oil Index (USO) is down a mere 67% in the same period, though, only a few weeks ago it hit a low of 22.80, and that was 72% down from the same baseline. So perhaps they’re in the same ballpark. A bright spark however, is the newly passed economic stimulus bill which should start boosting demand once again. With the extension of the Federal 30% tax credit and the removal of the $2000 cap, home owners will see the price of solar PV get much more affordable. For instance, last year a homeowner buying a 3 kilowatt system costing $28,500 might have paid $19,000 after the tax incentives, but this year it will cost about $13,000 based on California’s incentives and the newly uncapped Federal tax credit. Of course the incentive requires you to have a tax liability to offset, and rising unemployment may well diminish the residential market. And, for commercial developers of solar facilities the new bill has provisions that would allow them to take the 30% tax credit as a grant instead. The President’s “New Energy For America” plan calls for 10% of US electricity to come from renewable sources by 2012, then 25 per cent by 2025. That’s a doubling in just three years. The President has pledged to spend $15 billion per year over the next 10 years to stimulate private clean energy investments in solar power, wind power, biofuels and more efficient vehicles. Another factor slowing down solar project development is tight credit. The economic downturn has certainly put pressure on clean energy funding, like everything else. 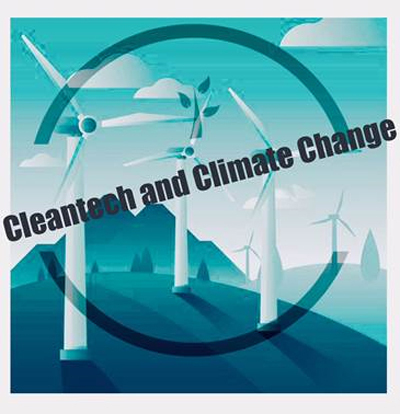 But according to a recent survey conducted by New Energy Finance, out of the 106 institutional investors that took part in the study, about 50 percent plan to increase their exposure to the clean energy sector. These institutional investors like pension, banking and insurance funds hold $1 trillion in managed assets. One leading Swiss private bank, Bank Sarasin, told Reuters last week that they saw renewed opportunity in the US. Matthias Fawer, vice president of sustainable investment at the bank said, "Now with the stimulus package and the slowdown in Europe, especially in the Spanish solar market, we are moving to U.S. stocks." Yet another investor, Mitsubishi Corp. said on March 5th, that it plans to invest more in renewable energy, particularly solar power projects. It will invest in solar panels, solar parks and stocks. So could this represent a bottom for the sector? And if so how should one pick the right companies to invest in? First, the company's liquidity position and balance sheet need to be strong enough to carry it through this downturn. Look at sales growth and cash less any short-term debt for a measure of how much a company has to operate for the coming year. Today any companies that show growth can be considered strong. Also look for market leaders and companies with unique value propositions to set them apart. Some of the companies best positioned to ride out the challenges of this year are the big market leading companies with adequate cash in hand. US manufacturer First Solar (FSLR) is one of these companies. Notice how their stock price collapse is far less than any of the other solar companies. First Solar also benefits because its panels are made from cheaper cadmium telluride rather than silicon. Also look at the other second generation solar companies I mentioned in my article of Jan 6, 2009. But even First Solar said last week that it would begin reducing prices on some of its panels to keep its competitive edge when it enters new markets. Other well positioned companies include SunPower Corp, (SPWRA) because its highly-efficient modules command a price premium. Now that SunPower also installs the systems they have the maneuverability to adjust their margins between the different parts of the business. Also look at Energy Conversion Devices (ENER), makers of Uni-Solar amorphous silicone panels. They were the innovators of lightweight flexible roll out modules that can be directly adhered to roof tops, also known as building integrated PV. Suntech (STP) too has bought into the installation and finance business since its acquisition last October of El Solutions, and its joint venture with MMA Renewable Ventures called Gemini Solar Development. Gemini plans to finance, develop and operate solar power plants of 10 megawatts or more. XsunX (OTCBB: XSNX) is another thin film innovator using amorphous silicon who, while at an earlier stage, shows promise. The company’s dual layer amorphous thin film design is cheaper to make and out performs other technologies in most climates. In a recent comparative study the company’s module design was shown to deliver the lowest levelized cost of all solar photovoltaic cell technologies. They have so far gained sales contracts for 19 MW deliverable through 2010. And they recently announced a prudent decision to reduce the capacity of their planned manufacturing facility in Oregon to approximately 13 MW which closely matches their commitments and saves the company roughly 25 million. Despite the general weakness of the solar power sector, many analysts are saying there is great growth potential - just not very soon given the overcapacity, weak economy and difficulty in gaining funding. However, I’m looking for the escalating grass roots demand to lower greenhouse gas emissions and shift away from foreign fossil fuels to drive solar stocks along with other clean tech stocks higher once more. And the bounce could be very strong when it comes. http://www.RenewableEnergyStocks.com is one of several green investor portals within Investorideas.com and provides investors with stock news, exclusive articles and financial columnists, audio interviews, investor conferences, Blogs, and a directory of stocks. Disclaimer: Paulo Nery is an independent columnist for Green Investor at Investorideas.com .Paulo J. Nery writes about green business, green investing and green lifestyle. www.InvestorIdeas.com/About/Disclaimer.asp. InvestorIdeas is not affiliated or compensated by the companies mentioned in this article.